Alcohol-induced psychotic disorder is a mental illness characterized by an episode of psychosis—hallucinations and delusions—triggered by alcohol intoxication or withdrawal. Heavy and regular drinkers are at greater risk, as is anyone going through detox from alcohol. Psychosis usually passes once alcohol use is stopped, but ongoing treatment is needed to help individuals abstain from drinking. Continuing to drink is a major risk factor for another episode of psychosis. Alcohol-induced psychotic disorder is a mental illness characterized by an episode of psychosis—hallucinations and delusions—triggered by alcohol intoxication or withdrawal. Heavy and regular drinkers are at greater risk, as is anyone going through detox from alcohol. Psychosis usually passes once alcohol use is stopped, but ongoing treatment is needed to help individuals abstain from drinking. Continuing to drink is a major risk factor for another episode of psychosis. Hallucinations. 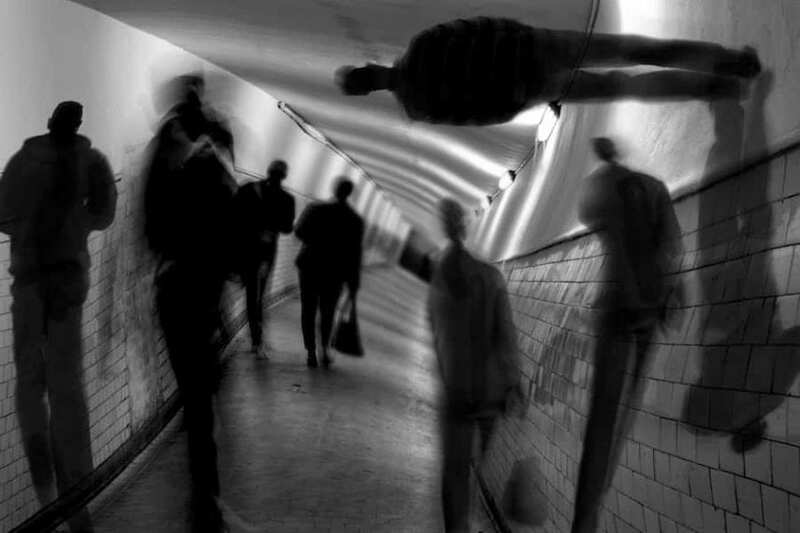 Hallucinations are images, visions, sounds or voices, and other perceptions that are not real. Someone who is hallucinating believes they are real. Delusions. Delusions are false beliefs that persist in spite of evidence they are false. For instance, paranoia is a common delusion, leading someone to believe another person is out to get them or is lying to them. Dissociation/depersonalization. Less common with psychosis are feelings of being detached from the rest of the world or from oneself. Someone experiencing these symptoms may feel outside of their body or as if other people aren’t real. The Diagnostic and Statistical Manual of Mental Disorders includes a condition called substance-induced psychotic disorder. If a person exhibits symptoms of psychosis, no other mental illness can be diagnosed, and the individual’s use of alcohol correlates with the symptoms, they may be diagnosed with alcohol-induced psychotic disorder. The most common symptoms are hallucinations and delusions. This is an uncommon condition but can be very serious. Estimates are that three to four percent of people dependent on alcohol will experience psychosis either during acute intoxication or during withdrawal, or both. In the population as a whole, the prevalence is much lower, at just 0.4 percent. This indicates that psychosis triggered by alcohol is much more of a risk for heavy, regular drinkers and those with alcohol use disorder. A similar condition that affects some people dependent on alcohol is called Wernicke-Korsakoff syndrome. It is actually caused by vitamin B1 deficiency, a nutritional deficiency most commonly seen in people dependent on alcohol. Lack of this vitamin can cause brain damage that leads to serious consequences. Wernicke-Korsakoff syndrome is characterized by several symptoms, including hallucinations, disorientation, and amnesia. Psychosis triggered by alcohol may occur rarely, but certain people are at greater risk of experiencing it. They include anyone going through alcohol withdrawal, chronic alcoholics, and those who are acutely intoxicated. As the prevalence numbers suggest, people who drink moderately or not at all are at little to no risk of having an alcohol-related psychotic episode. There is some evidence that genetics may play a role in psychosis triggered by alcohol. In studies of twins, the prevalence of both siblings experiencing alcohol-induced psychosis was over 17 percent for identical twins and just under five percent for fraternal twins. In many instances, simply stopping drinking or making it through detox and withdrawal is enough to resolve psychotic symptoms. However, in some cases a patient may need immediate treatment for stabilization and safety. Medical stabilization helps ensure all vital signs are good and can help prevent seizures in the case of someone in withdrawal. Medications that may be used to treat alcohol-related psychosis include benzodiazepines. These are sedatives and anti-anxiety drugs that are often used to manage alcohol withdrawal symptoms. Antipsychotics may also be used to reduce psychotic symptoms, but they may not be used for someone experiencing withdrawal, as they can lower the seizure threshold and increase the risk the individual will have a seizure. The outlook is positive for someone going through this kind of psychosis if medical care is given immediately and if it is followed by treatment for alcohol use disorder. Most people who are able to abstain from alcohol after a psychotic episode recover fully, but those who continue to drink are likely to experience another episode. It is essential to follow up immediate care with ongoing addiction treatment to reduce or stop alcohol use and develop a healthier lifestyle.